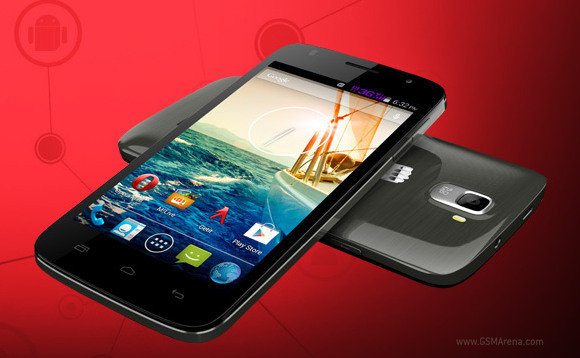 Micromax brought us another smartphone today - the Micromax Canvas Entice A105. It's a low-end droid running KitKat OS on a 5" WVGA display. The Canvas Entice A105 is powered by the Broadcom's BCM23550 chipset with a quad-core 1.2GHz Cortex-A7 processor, Videocore IV GPU and 512MB RAM. It also comes with a 5MP rear camera with 720p video recording, 4GB expandable storage and dual-SIM support. Micromax hasn't shed any light on the availability. We know the Canvas Entice A105 will go on sale in black color and some leaks suggest a retail price between €80 and €90. Thank you, Mayank, for tip tip!